Sumo Logic dashboard query to build a graph of usage by MAC address over time. Example code to set up AWS VPC Endpoints for private networks. 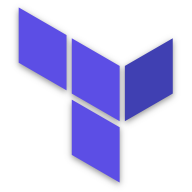 Getting GuardDuty operational in a master/member implementation using Terraform (and CloudFormation stacks) and Python. How do you compute power in to miles available in an Electric Vehicle? A couple of tables are included to help illustrate. Will the Tesla semi actually save money? Tesla is claiming their new semi will offer the lowest Total Cost of Ownership over current semi-tractors on the road today. 1 year ago I received delivery of a Tesla Model S, this is the start of the story..
EV parking notification flyers for windshields of ICE vehicles parked in EV charging spots. Basic steps with screenshots for setting up VPN between CenturyLink Cloud and Fortigate firewall. How to run 2 VPN tunnels between Fortigate firewall and AWS VPC VPN using static routing or BGP. Anti-vaxxers keep dragging health officials to court as US measles cases soar!